Aether is a responsive starter theme built with Sass & Compass. Using either fluid, fixed or hybrid responsive techniques, it has 5 breakpoints and uses the widest as the default. Aether has some cool grid features, handy sass variables/mixins and the ability to add new Sass extensions to build on your theme. It is also Context/Delta friendly for that extra bit of control. Ingrained is a two column responsive design with narrow (sidebar) content on the left and using the Omega base theme. Original design by Jozef Toth (www.mogdesign.eu), theme by Emma Jane and Design to Theme for the Responsive Web Design workshop. A simple responsive subtheme for the base theme Fusion. Uses all of Fusion's default regions and adds a few extra CSS3-enhanced skins for blocks. Detailed README file includes instructions for flyout menus with Superfish, and older IE support with the polyfill css3-mediaqueries.js via Fusion Accelerator. 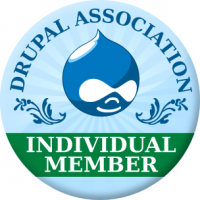 Business is a great looking Drupal 7 theme. The theme is not dependent on any core theme. Its very light weight with modern look and feel. Business's clean layout and light weight code make it a great theme for small or medium-sized business to get up and running quickly. Splendio is a great looking Drupal 7 theme. The theme is not dependent on any core theme. Its very light weight with modern look and feel. The groundwork has already been laid. Reduce your custom theming time by using a theme framework with a powerful layout engine and sensible generic style defaults. Use it as is, as a theme with simplistic/minimalistic design, or as a base theme for faster theme development. Configurable 24 column grid system at your fingertips! Mayumi is a girlie HTML5 sub-theme of Groundwork. "Mayumi" is an adjective in the Filipino language which describes someone who is shy, demure and soft. It is often used to describe what an ideal single Filipina should be.